Maximize your sponsorship at Money20/20 in 2019! Start by letting your social network and followers know you’ll be sponsoring or exhibiting and invite them to join you in Las Vegas. Make a splash and get attendees excited by sharing teasers of the products and announcements you’ll be showcasing this October. Money20/20’s fun and engaging exhibit hall is full of booths with interactive experiences, giveaways, treats and entertainment. If you’re planning something unique or even releasing a coveted white-paper be sure to spread the word and promote your plans! Download the below image and share along with your unique $250 discount code on Social Media. Be sure to tag @Money20/20 and use #Money2020 for a retweet! 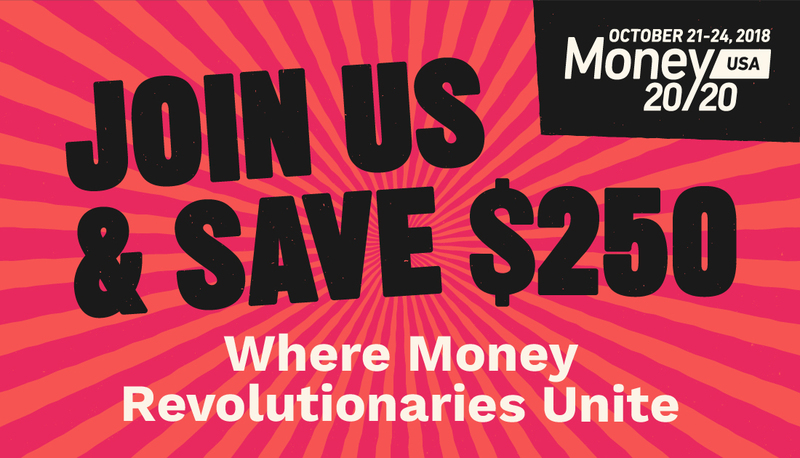 Click below to add your unique $250 discount code and let your Twitter followers know that you’ll be at Money20/20. In an effort to help amplify your company’s announcements and make a splash with our onsite media, we’re excited to partner with Fleishman-Hillard to help facilitate media exposure for all sponsors sharing newsworthy announcements. With the help of this esteemed public relations team, we’ll ensure you get in front of top, relevant media to cover your news and insights shared on the Money20/20 stage. They’ll bring their expertise in suggesting the right contacts to meet with, assist in making connections and ultimately, bringing these meetings and interviews together. If interested in utilizing this service, please submit your announcement or media coverage request below.